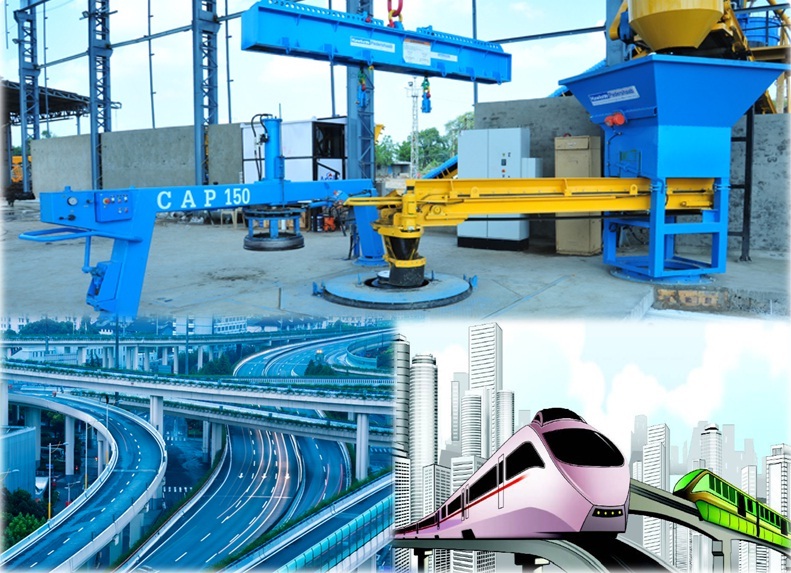 Roads, rail and infrastructural developments are the backbone of any nation’s economy. As the saying goes” do not marvel at the beauty of any building or construction but the foundation that will stand the test of time”. Roads require a number of structures such as bridges, culverts, storm water drainages, drainage systems, underground water passages and tunnels. The use concrete pipes did not just begin recently; the Romans used underground pipes thousands of years ago using cement obtained from Mt Vesuvius. Underground pipe were first installed in 1842 at Mohawk, New York as a sewer line and operated for a century. French made steel reinforced pipes and installed them in 1896 and was later used in America and Australia in 1905 and 1910 respectively. Currently millions of kilometres of underground pipes are installed in both developed and developing worlds. Concrete pipes are the most common materials for drainage, storm water and sewer lines. The material is preferred sue to its low cost, high strength and durability. In the USA, the industry had revenue of $ 7.1 billion in 2015. At a global scale, the industry generates over $ 50 billion. A typical highway and railway line has many culverts that are used to drain water. Tarmac roads must be drained of any water for them to last for long periods. Concrete pipes also find numerous applications in drainage and sewage pipes in residential and industrial establishments. These pipes are laid underneath and water flows through gravity to storage facilities, river, lakes or seas. Selection of the best concrete pipe mould making machine is fundamental as it affects the strength, durability, surface finish and applications. The machine must impact the necessary strength through appropriate compaction and vibration. The strength enables the pipe to withstand embankment fill materials above it load as well as other loads imposed by the moving fluids. The machine must also give the pipe desirable characteristics. The machine must ensure that the pipe has smooth internal surfaces to limit water absorption, reduce resistance to flow by reducing the pipe roughness ratio. The smoothness of the pipe affects its hydraulic capacity. Centrifugal roller method produces a relatively rough pipe as compared to vibratory methods. Centrifugal making methods also reduce the water ratio when swilling the mixture. New computerized pipe manufacturing methods, use of binders and admixtures to improve bonding, better pipe design and the use of sophisticated moulds also make the pipes more reliable. Advanced moulding machine that enable the use of dry concrete and high compressive strength are also preferred. Low water to cement ratio in the casting process and well as increased compaction and consolidation are hallmark for quality, high strength pipes. Steel reinforced concrete pipes machine have superior ultimate tensile strength, long service life and low water absorption capacity. Computerized materials mixing and precision wire reinforcement also make the product aesthetic and very durable. These are made from superior mould making machines. Reinforced pipes can be used for trench and high embankment fill as sites since they withstand high weight by the overlying soil. Sites with poor soil conditions also require these pipes as they are rigid. 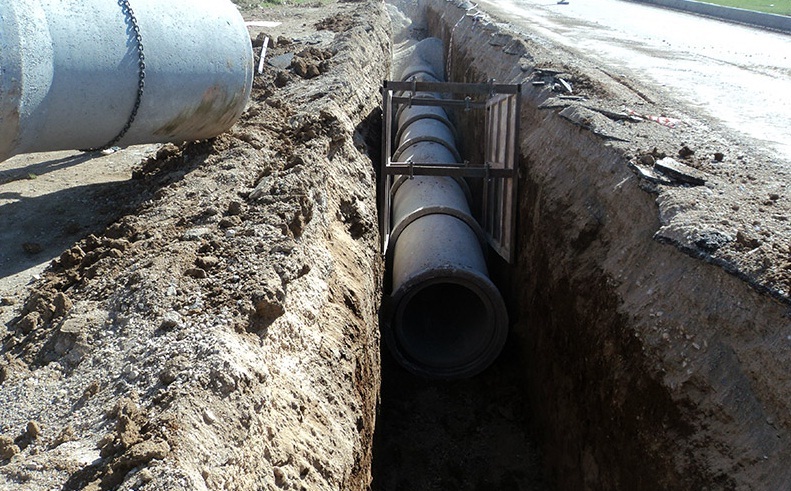 Many roads, rails and bridges require customized culverts and drainage pipes. These are manufactured using specially designed adjustable moulds, box culvert moulds or lined pipe moulds.